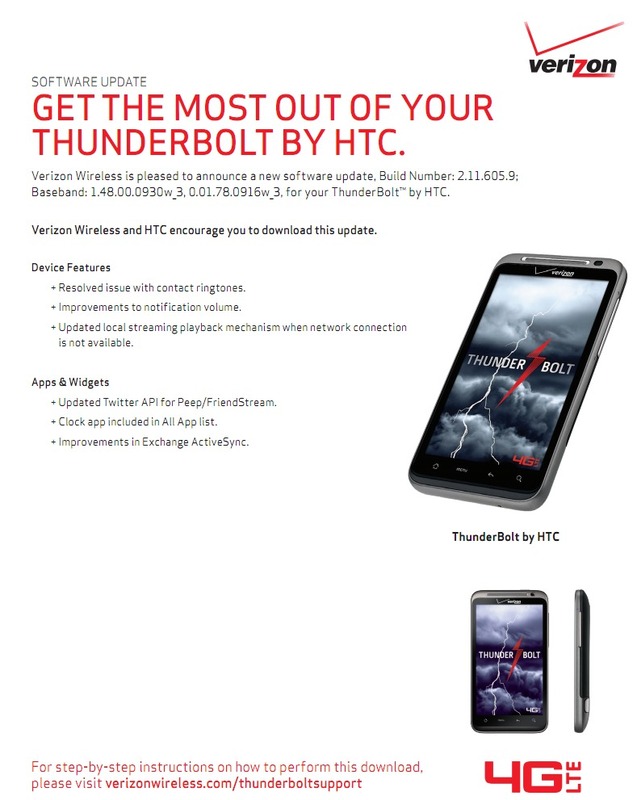 Still rockin’ the HTC Thunderbolt? An update for it has been approved by Verizon that should improve issues with contact ringtones, notification volume, and local streaming playback. The Twitter API for Peep has also been updated, the clock app will now show up in your app list, and Exchange ActiveSync will see improvements. It’s not Ice Cream Sandwich or anything major, but hey, who doesn’t love a good update?